They’ve been making wine in Chile since Shakespeare was a boy. European vines were brought to the country by the Spanish conquistadors and missionaries in the 16th century, although the actual vines may have come via Peru. 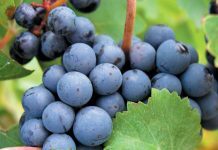 Today, nearly five hundred years later, over twenty grape varieties are grown in Chile, mainly a mixture of Spanish and French varieties. 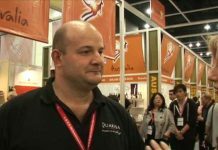 In recent years, Chile has benefitted from both foreign investment and wine-making talent. Chilean wine law doesn’t impose restrictions of grape varieties, viticultural practices or winemaking techniques, with the result that some wineries are experimenting with new grape varieties. Chile is now producing world-class wines at bargain prices. These two attractive wines (the name means “between the valleys”) come from Curicó whose fruit, cakes and wines are known for their high quality. 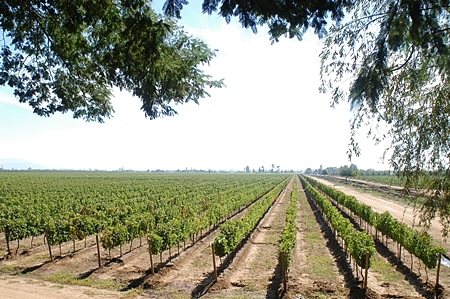 Curicó lies in Chile’s green and fertile Central Valley (Valle Central) where the climate is Mediterranean with a summer dry season between November and March. Anyway, you’ll find that the wine is quite light-bodied, with a soft mouth-feel and the fruit well forward. There’s a spritzy kind of feel on the taste, which gives the wine a lively refreshing favour. It’s fairly dry, but there are hints of sweetness on the taste. 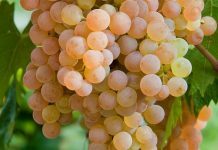 The acidity often associated with Sauvignon Blanc has been kept well under control and there’s just a pleasing touch on the taste. There’s quite a long dry finish too, with citrus overtones. At just 12% alcohol content, this is an easy drinker and would make an attractive pre-dinner wine. Being light and white, it would keep safely in the fridge for a couple of days, if you don’t manage to finish the entire bottle. It would make a good partner for light fish or chicken dishes and would go well with many Thai dishes too. Of course, you could just sit back and enjoy it on its own. “Up to you”, as they say in these parts. This wine is a dark ruby red with purple hues. You can even see those little legs in the glass when you swirl the wine around. In case you’d forgotten (or possibly never knew) the little legs are called the Marangoni Effect, named after the eponymous Italian physicist Carlo Marangoni, who studied the phenomenon for his doctorate degree in 1865. There was even a book published about it in the 1870s with the riveting title of On the Equilibrium of Heterogeneous Substances. It probably didn’t have very many jokes. The wine has an attractive aroma of black berries, cherries and an oaky vanilla smell. I thought I could detect dried herbs too; possibly oregano. You’ll probably pick up blackberries and cherries on the taste. It’s very dry with good firm tannins and despite its origins it reminded my very much of a red Bordeaux. The finish is long and dry too. It’s a very pleasing easy-drinker but even with its low 12.5% alcohol content, I think would show at its best with food. Beef dishes or other red meat would make excellent partners, although it worked very well with some Tasmanian Brie. Genuine Brie, of course comes from Northern France, but the Tasmanian stuff is a good substitute if – like me – you can’t afford to buy the real thing.